This proposal sets out a tramway within Preston, 6km long, as a pilot for greater Preston. This has been designed to serve major trip generators in the corridor, including Deepdale Retail Park, Schools, Church Street, Fishergate, the Bus and Railway Stations. Presently there are 10times more car trips in Preston than bus. The GUILD Tram will attract to public transport about 25% car trips presently made along the route. The project introduces a new way to deliver tramways, that also provides traffic, environmental and social benefits, without the need for public funding. As a privately promoted project, negotiations and voluntary agreements will be sought. Parts of the the project including the Tram Depot has already been granted planning permission by Preston City Council. Discussions are taking place with the Highway Authority. A survey of Businesses along Church Street and Fishergate got favourable reactions, where most if not all of the overhead power wire supports will be hung off buildings, like the Christmas Decorations. This could provide a year round attraction. (b) large scale (1:1250) plans of the route, with the tram track locations and tram stop designs set out. (c) Consultations with a number of bodies, including the Local Authority, UCLAN, the utility companies etc. (e) modelling the impact of trams on local traffic by using a Bendibus in the place of a Benditram. (f) Assumptions on patronage ranged from attracting no car trips, to attracting 25% of car trips along the route. (g) Models showed that the tram impacts on traffic will be insignificant and within the daily variation of traffic levels. Once Planning Permission for the whole line has been granted and ageement reached with Network Rail, the construction of the Depot and then whole line will take less than a year. There will be staff recruitment and training, commissioning and then opening of the line on a phased basis, to be ready to begin passenger service as soon as the line has satisfied all standards. Trams are likely to be leased from Lightweight Community Transport, a not for profit co-operative. Using the experience of other UK Tramways, the assumptions used in this project are very cautious. All over the world people like trams, and will get out of their cars for trips by tram. This reduces congestion and pollution. Toxic traffic pollution kills over 100 people a year in Preston, and costs the NHS about a fifth of its budget, treating asthma, bronchitis and various cardio vascular illnesses. Preston has bus, but no internal rail services. The Council has been concerned for some time at the unreliability of buses and the low level of usage, together with the heavy pollution caused by buses, especially in congested traffic. GUILD Trams will carry 200 passengers and two wheel chairs each. 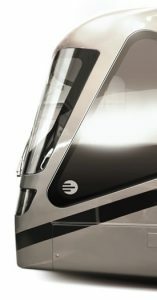 With four double width doors, boarding and alighting will be step free and fast. Buggies can simply be wheeled on. Trams always stop at the same place next to platforms, which will only be 10in off the road surface, just a little higher than pavement kerbs. Should patronage exceed present forecasts, the trams can be lengthened to carry 300 passengers with about 100 seats each. Unlike buses, tram run on smooth and predictable tracks, so rides are very comfortable, even when standing. The GUILD Tram will give convenient access to the Railway and bus stations. 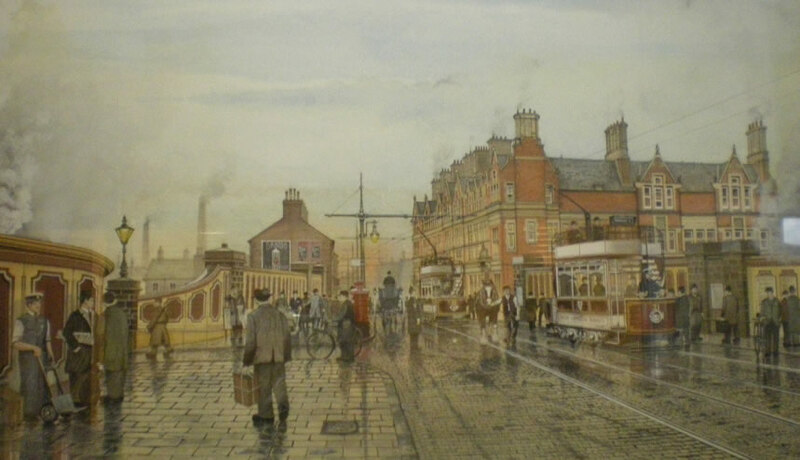 Journeys by tram in Preston can be made to almost anywhere in Britain by a change at the Railway Station. There will be no fare penalty for hopping on a tram and with the special tickets be very competitive with driving and parking.